I've realised that when it comes to jewellery, I'm totally disloyal to the pieces I own. As soon as something new comes into my collection, older pieces are long forgotten. That's the great thing about costume jewellery I suppose, you can afford to change it as often as you like. Do you have any of these? What's your favourite piece of jewellery right now? I think I've had a slight fail with this Halloween nails. I had visions of the Barry M crackle polish creating a vibrant orange spider's web over a coat of black, but the result is a a bit disappointing really. The orange looks so bright in the bottle, but over black it loses its vibrancy and looks a little bit dingy and dull. The spider web pattern drawn on the bottle cap is a little misleading which has also fueled my disappointment. There was no way it was going to crackle into a perfect web pattern I know, it does look slightly web-ish at the base of my nail. Maybe this would show up better over white? Ah well, you have to try these things to see what they're like. Luckily my other Barry M purchase of a couple of their gelly polishes has been much more impressive, and I'll blog those soon. Have you had more success with your Halloween nails? I'd love you to link me to your posts. 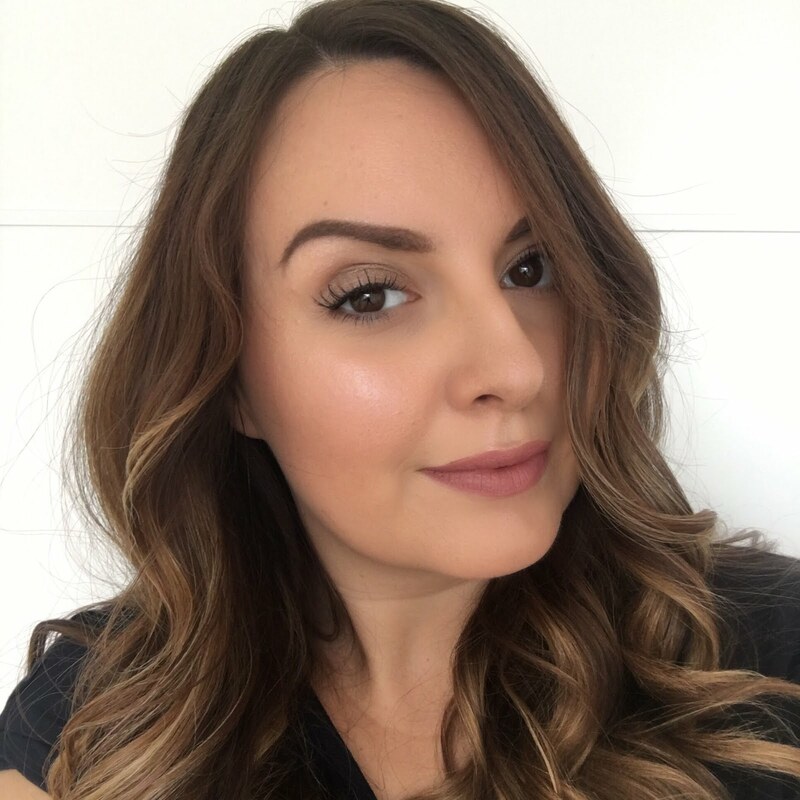 If you want to follow me on instagram my username on there is fluttersparkle - leave me a comment on one of my photos so that I can follow you back. This ended up very much being a work-wear haul. I don't know what it is when the seasons change, but I suddenly feel I have nothing to wear to work and can't remember what I was wearing the year before. I know I've bought the same dress in three colours - I can't help it. When I find something that seems the perfect shape for me, I tend to go a bit overboard. Ideally I'd rather the sleeves were a bit longer, but I'll wear these with little blazers anyway, so it doesn't matter. The cardigan is literally huge and the arms are like wings, but it's super snuggly and just I wanted for throwing over things when it's cold at home. I'm not sure about the coat - I loved the contrast sleeves and I think that caused me to ignore the unflattering shape. I should probably return this and look for a more fitted waist type coat. We're not allowed to wear leggings in my office, so I go for a similar look with skinny trousers and this pair looked pretty good. I didn't really need a new top but I can't resist a peplum and I'm loving berry colours right now. I get a lot of my work-wear from Dorothy Perkins, but I've also spotted some lovely sparkly dresses like this one which might be infiltrating my basket next time I have a little haul. You may have spotted this polish in my USA haul post - it has to be the most exciting one I got. 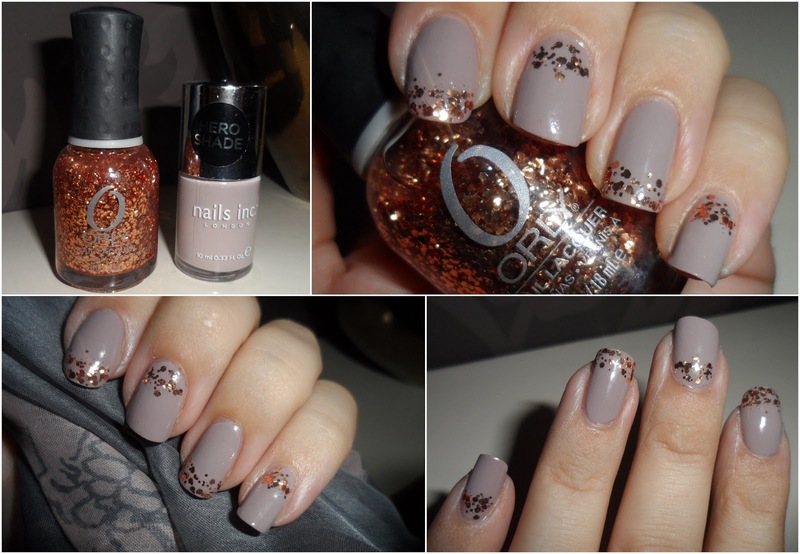 It's from the Orly Glam FX collection and it's called 'watch it glitter'. It's a beautiful rose gold or copper coloured mix of round and hexagonal glitter in a clear base and I thought it would look great against a nice plain and chic base colour. I really like the way this mani turned out. I've tried glitter tips before but only with fine glitters - this one looks much neater with the chunkier glitter and I decided to do alternate tips and nail bases. The base colour I used is one of my all time favourite polishes - Porchester Square by Nails Inc. 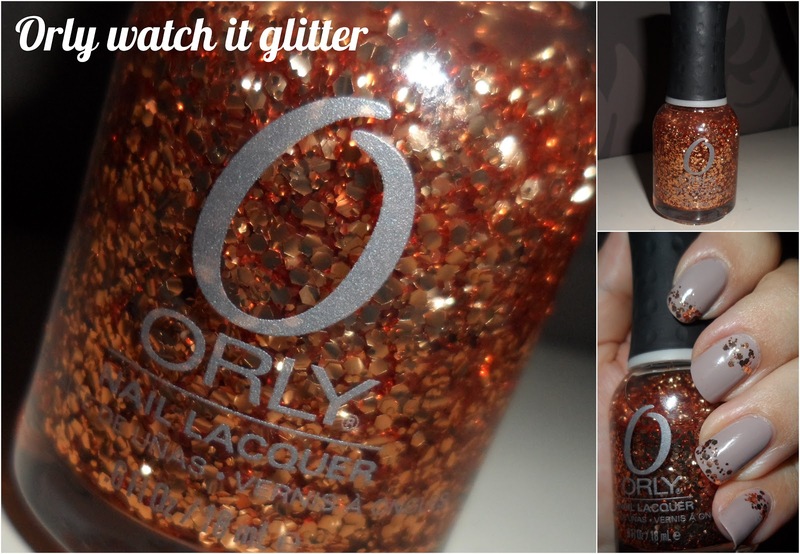 Isn't 'watch it glitter' a beaut? It's been a while since I've been lured into Lush by that unmistakable fragrance that snakes its way around the top floor of my local shopping center. I've been deliberately staying away, knowing that better things were to come when the new Halloween and Christmas ranges arrived, and it was worth the wait. Here's what I picked up. The pink and blue cone shaped bomb is the party popper - it apparently has popping candy inside as well as party poppers. I'm looking forward to trying this one, although it sounds as though I may need to have a shower after bathing with this! To the right the yellow ball shaped bomb - the enchanter - is Lush's only Halloween bath bomb offering this year. I thought I'd seen some pumpkin shaped bubble bars advertised, but after chatting to the shop assistant we came to the conclusion I must have dreamt it! The enchanter doesn't look all that exciting but I was assured that its appearance is deceptive and that inside there are lots of different coloured layers. I had to pick up a bar of fun. I can't say I'm going to make little pink shapes with my kids like most other bloggers who've posted about this. I don't have kids, this is totally just for me to play with and yes I'm going to make little snail and daisy shapes with it when I'm in the bath. I bought the moustache shaped bubble bar purely so that I could do this. I will also use it in the bath by swishing it around in the water to make lots of bubbles. This is just like the snow fairy magic wand bubble bar. I didn't buy one of those purely because I'm still hoarding a few from last Christmas, ooops. Finally I picked up candy cane bubble bar. I buy this every year, but it's usually pink and white - this time it's pink and green. I'll be interested to see what colour the bubbles turn out to be with this one. There are lots of other Lush Christmas bits I want to try including Father Christmas, cracker snap (there's supposed to be a croccodile inside! ), and Santa's sack but it seemed a bit early to get any of those, so I'm adding them to my Christmas list instead.